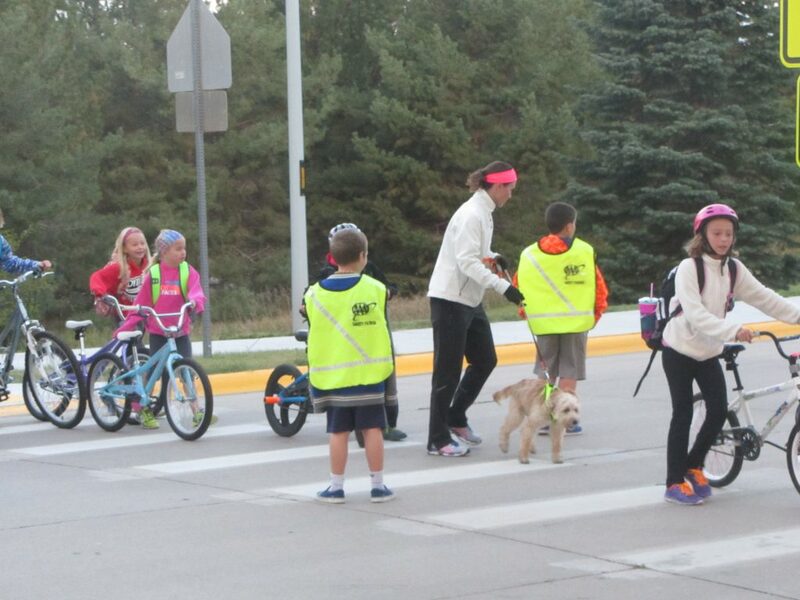 International Walk to School Day was October 8, and Activate Buffalo County, through Safe Routes to School, helped four schools host events to celebrate the occasion. Walkers, cyclists, pets, and all types of pedestrians filled the sidewalks in the chilly morning. The echoes of the Kearney High School drumline greeted walkers at Northeast Elementary. Parents, teachers, and local news outlets snapped away on phones and cameras, capturing some great pictures and video. To learn more about Safe Routes to School, visit ActivateBuffaloCounty.com/saferoutes.